I’ve been thinking about loyalty and goodwill in small business lately. These thoughts were sparked by two recent incidents and my reactions to them. First of all let’s have a think about these two words… quite big ones in my personal value system. Let’s take a look at the dictionary definitions. The quality of being loyal. I’m a very loyal person. Some might say too loyal, and may have observed this quality being abused by those without similar boundaries and respect for loyal behaviour. I take quite a lot, out of loyalty, before I say ‘enough’. And I also give a lot, out of loyalty. I like to buy local, for example, out of loyalty to my fellow small businesses in the area. I have a sense that we are all in this together! They might be slightly more expensive sometimes, they might not always be as slick as other prestige suppliers, but they are local people supporting their lives by providing local services, and I want to be loyal to that. Friendly, helpful, or cooperative feelings or attitude. Gosh, where would we be without goodwill? It’s a natural state of mind for me that I am friendly, helpful and cooperative whenever I can possibly be so. Of course it can sometimes be abused, but generally I find that goodwill encourages more goodwill. It’s contagious! So where am I going with this? I’m thinking about loyalty and goodwill in the context of small business. 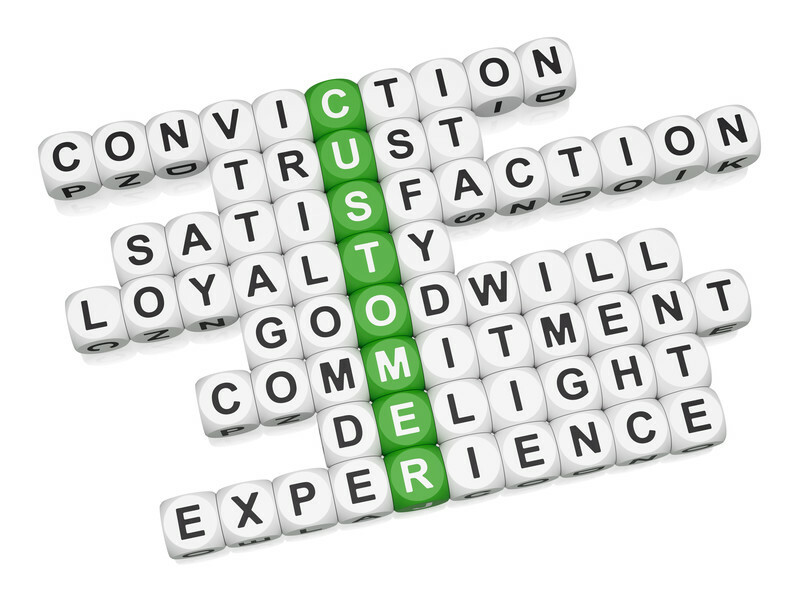 Building goodwill and loyalty is a big part of my social marketing work. These two things are not just part of my personal value system, but are important for small brands to demonstrate and are both something we want our supporters to feel towards us. Incident one: I was let down by a small client last week. I was all set up at our meeting place waiting for her to join me for a one to one session on her social media activities – she manages her accounts herself day to day, and I help her with tips for improving her effectiveness and with ideas for engaging content. She didn’t arrive as expected, so I messaged her after 15 minutes and some while later received a call saying that a family incident had meant that she had become distracted and forgotten our appointment. These things happen don’t they? She was very apologetic and wanted to make recompense and rearrange. She had never let me down before. I doubt that she will again. Okay it meant I had wasted some time, a little bit of petrol, and had not had the income I was expecting on that day, but I didn’t hesitate in exercising goodwill in this situation. This client is loyal to me, and says good things about me to others, to my potential clients. It was, for me, the correct thing to do to just rearrange without penalty. Okay, maybe I’ll let her buy the coffees when we next get together, but that is it! Incident two: I had to cancel a reservation at the cattery I use when I go away on holiday, or even for the weekend, because I’ve had to cancel my Christmas scuba holiday due to an injury that will prevent me diving. I spend roughly £500 at this local business every year and I have never had to cancel before. I gave them 32 days notice that I was cancelling in the peak season, when I am sure they have a waiting list of people wanting the space I released. The immediate response from the business was that they would be enforcing their 60 day cancellation policy (which I didn’t know about) and withholding my £50 deposit. I asked if the deposit would be refunded once they had filled the space… which they inevitably will. It was re-emphasised, rather curtly, that this was a non-refundable deposit. And I guess I should at some point have read their terms and conditions on their website (which I never use, because I book by email). I accepted the situation without argument, as of course this cattery business is absolutely within their rights to enforce their policy. But my emotional response was that I had been loyal to this local business for years, not because they were better than the one just a couple of miles away, but because they were local. I feel that my loyalty has not been rewarded with any goodwill. And consequently my sense of loyalty to them has been damaged. My next cattery booking has now been made for that other business I mentioned just a couple of miles away. It’s a difficult balance for small businesses to strike. It is an individual choice when to use discretion and honour loyalty with goodwill, and when to enforce the terms and conditions that we should all have in place within our business. I’m aware that my response in both situations was emotional. And on rational appraisal I stand by the no penalty decision I made in relation to my client. I also remain disappointed that the cattery business enforced its own penalty in these circumstances. Perfectly within their rights to do so, they chose not to exercise goodwill, and in turn damaged the loyalty I once felt towards them. So I guess we need to remember that by human nature, our customers and clients will have emotional responses to our business decisions. We also need to remember that loyalty has a value, it’s an intangible asset of a business, that may have taken some considerable investment to build up. Terms and conditions are there to protect us in our business dealings, but I think it is important to know when to enforce them and when to exercise discretionary goodwill. I know I’m no loss to the business I mentioned. But I may not be alone in feeling let down, as on reading the t’s and c’s I found some of them quite extraordinarily strict, and I’m sure there will be others caught in the trap of the small print. 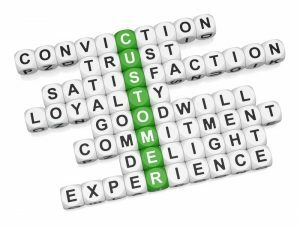 Loyalty from our customers is important to the success of our businesses, and I believe we should value repeat business and referrals as we know acquisition of new customers takes time and effort, which in turn has a cost. I’d love to hear from other small brands about how they balance protecting their business through applying terms and conditions, with how they exercise discretionary goodwill, perhaps to reward loyalty.